October is Breast Cancer Awareness Month, and the Winder Police Department is thinking pink. For the second year in a row, a pink police car will be on patrol. 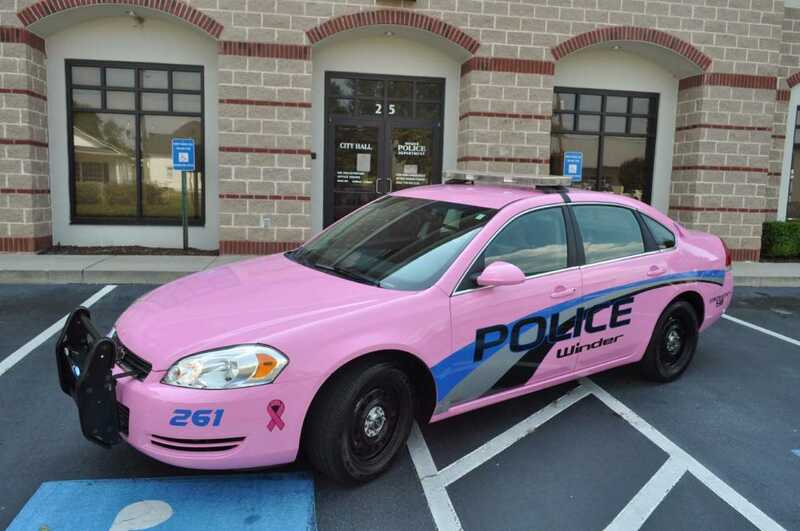 Winder police partnered with Akins Ford last year to have one of their patrol cars painted pink. In addition to making routine calls, the special car has made appearances in parades, festivals and other local events. Winder Police Captain Chris Cooper says his officers were wary of driving a pink car, but they have received a huge response from the community. “We’ve kind of been overwhelmed with just the sheer number of thank yous that we have received from women who have survived breast cancer,” says Cooper. You can see the pink car for yourself at the 5K in Gwinnett County this weekend.